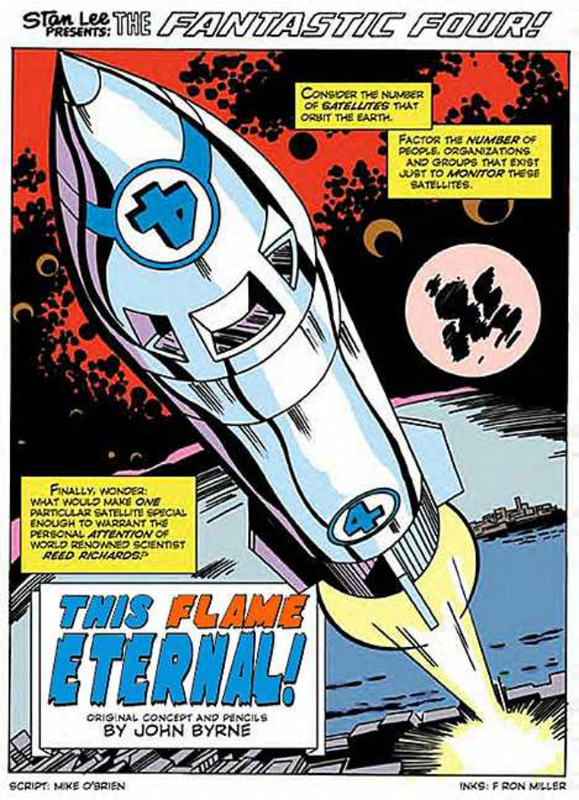 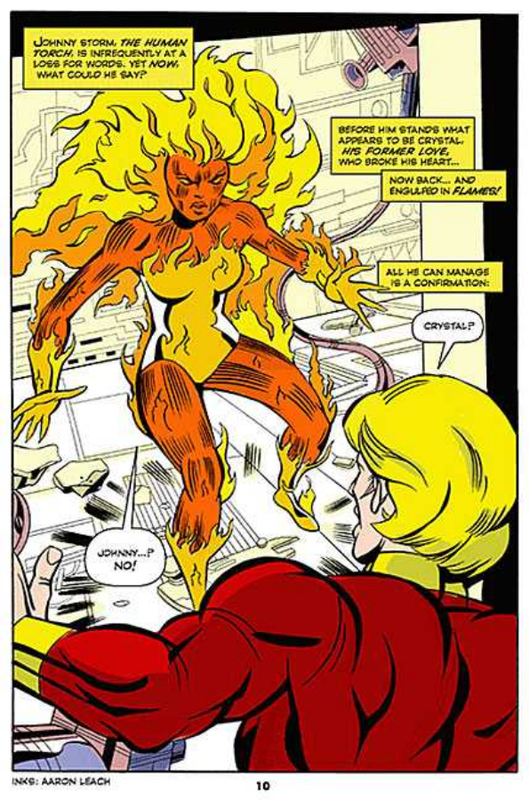 The female Torch is Crystal, but from Counter Earth (which you may recall the High Evolutionary creating in the first WARLOCK). 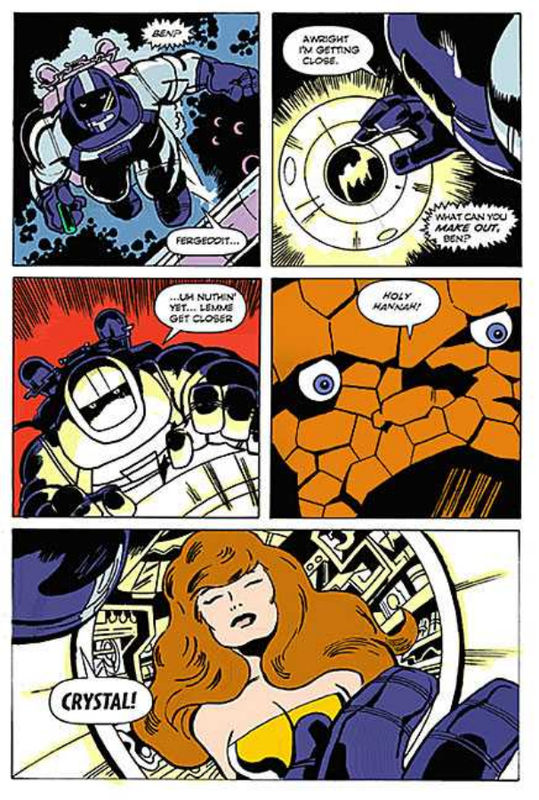 Basic premise: Altho the H.E. 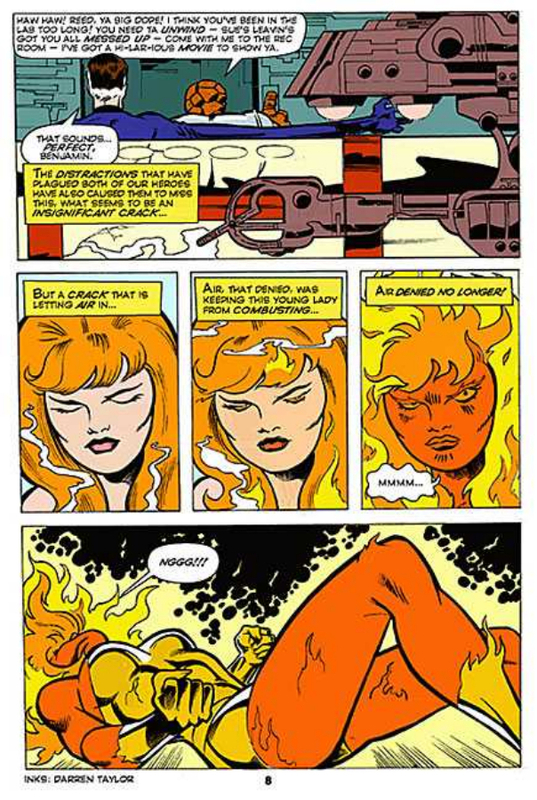 prevented super powers happening on Counter Earth, he did not interfere with the basic genetics, so the strain that produced Medusa and Crystal as Inhumans produced them as mere mortals. 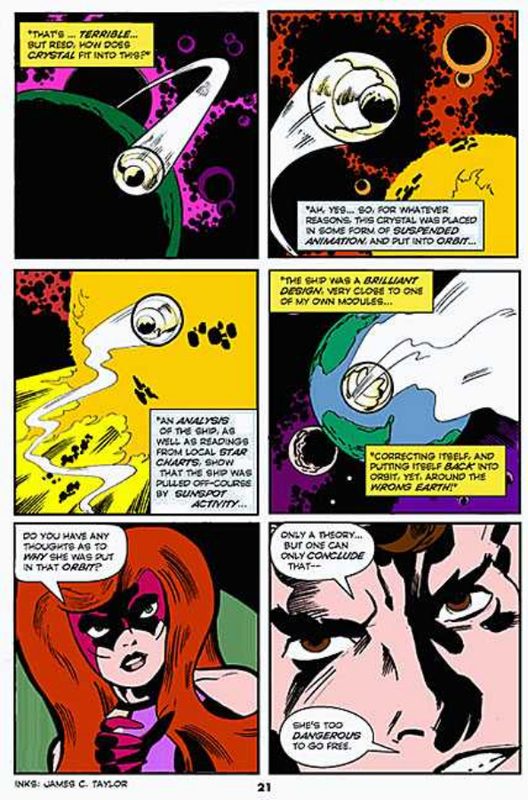 The appearance of the H.E. 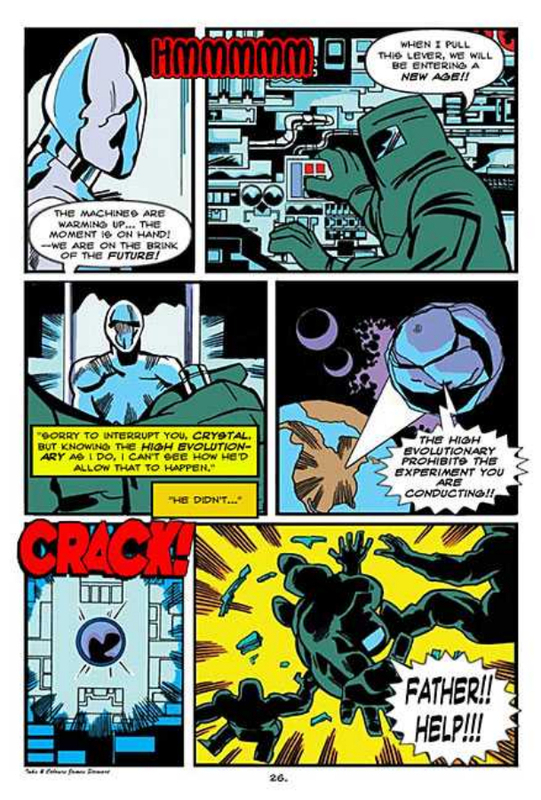 in my story is a flashback to his creation of Counter Earth, and a quick recap of how he shaped events there (with the AniMen interfering and wrecking the "perfect world" he meant to create.) 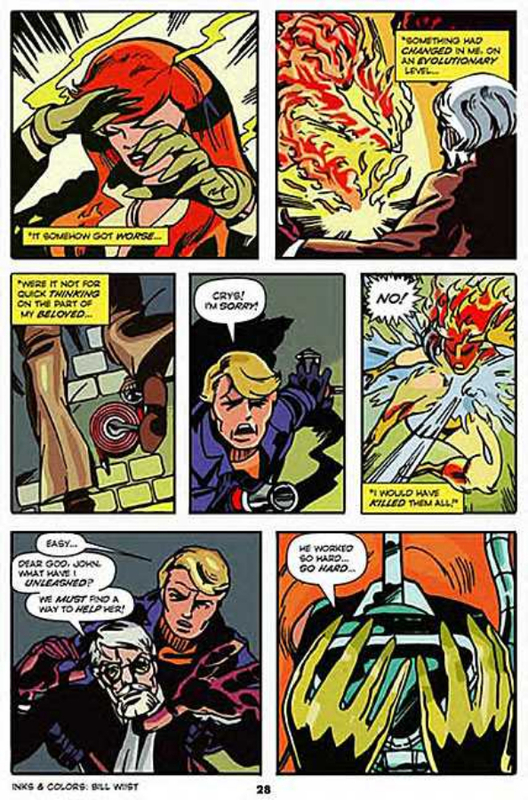 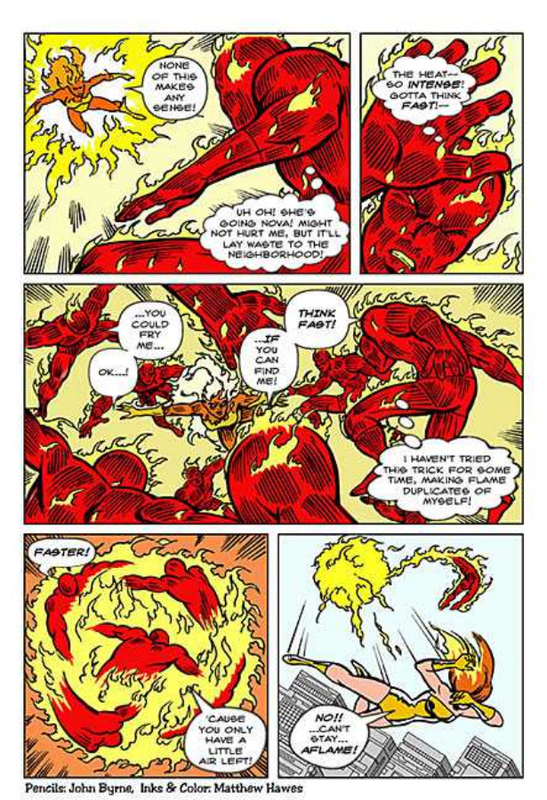 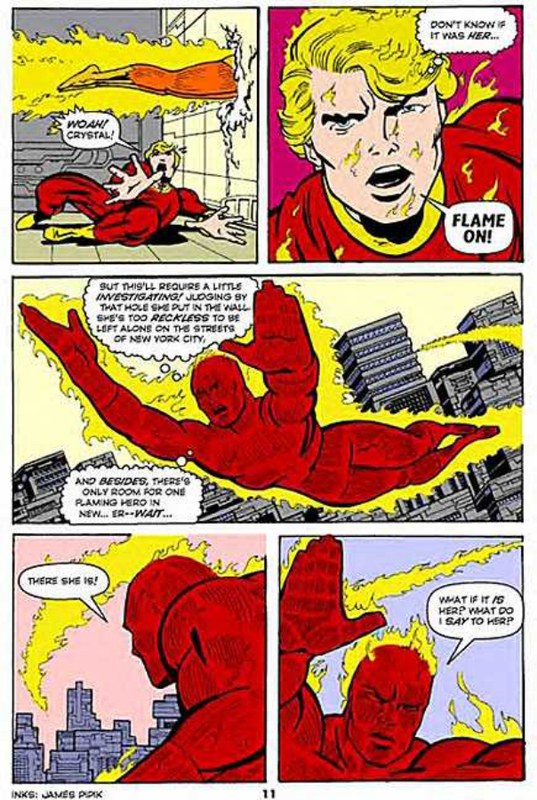 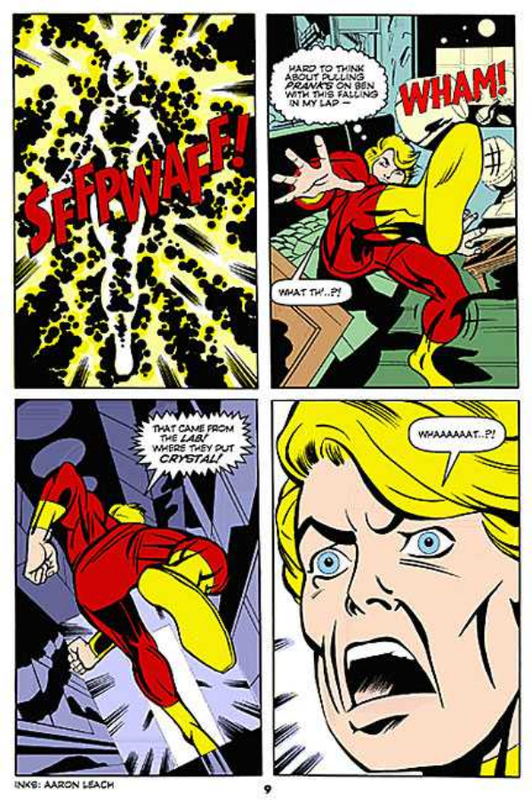 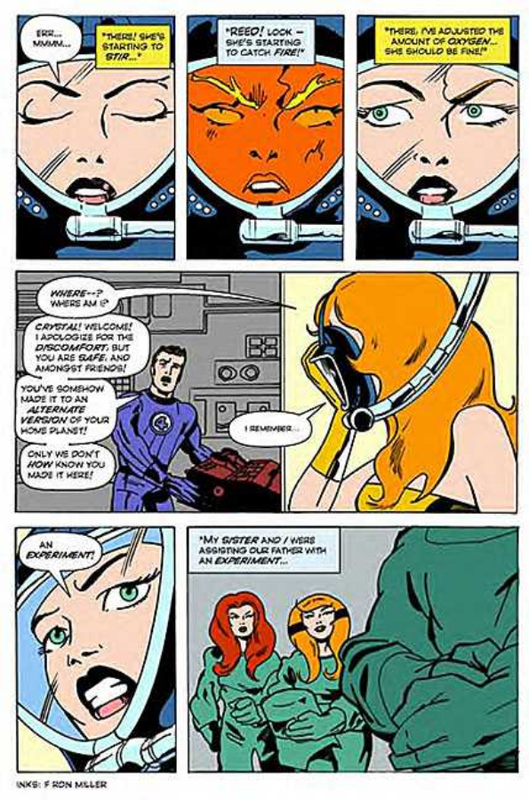 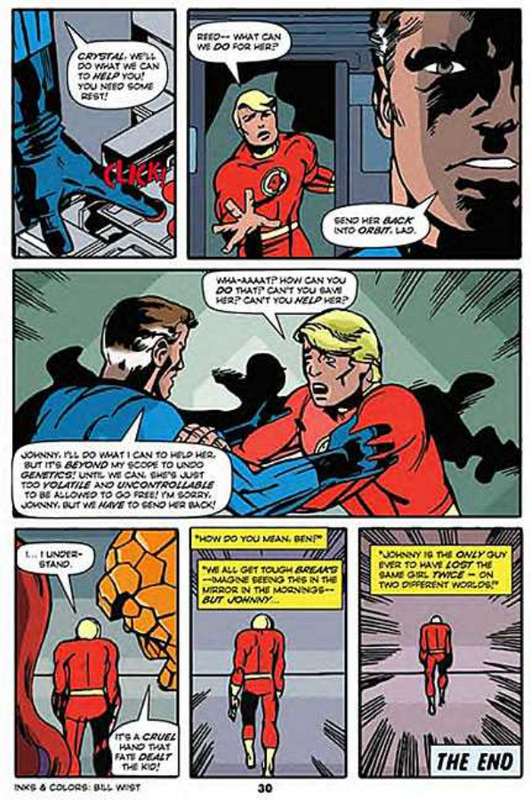 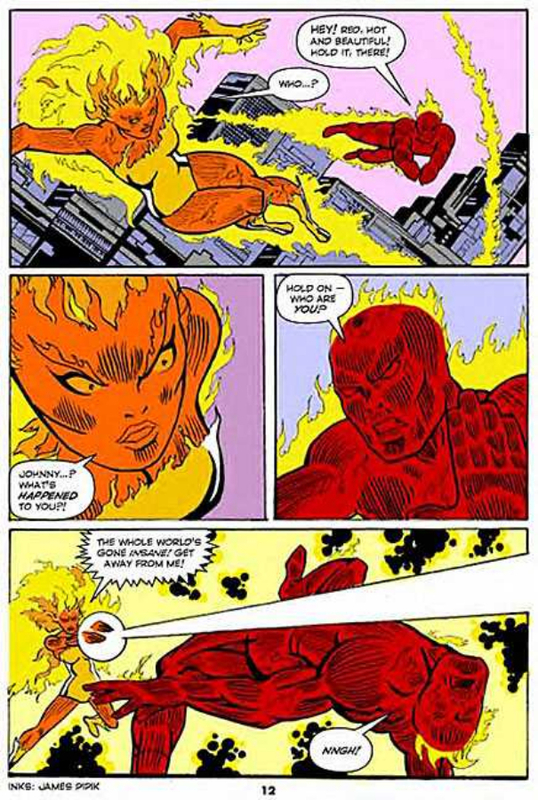 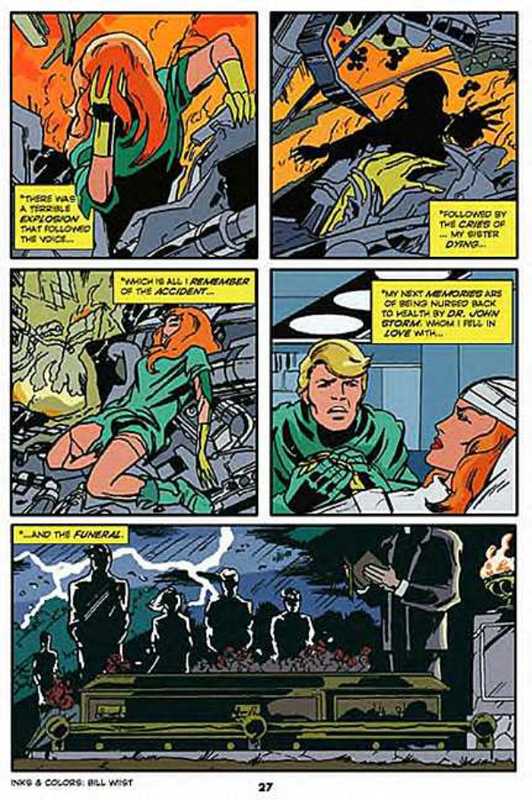 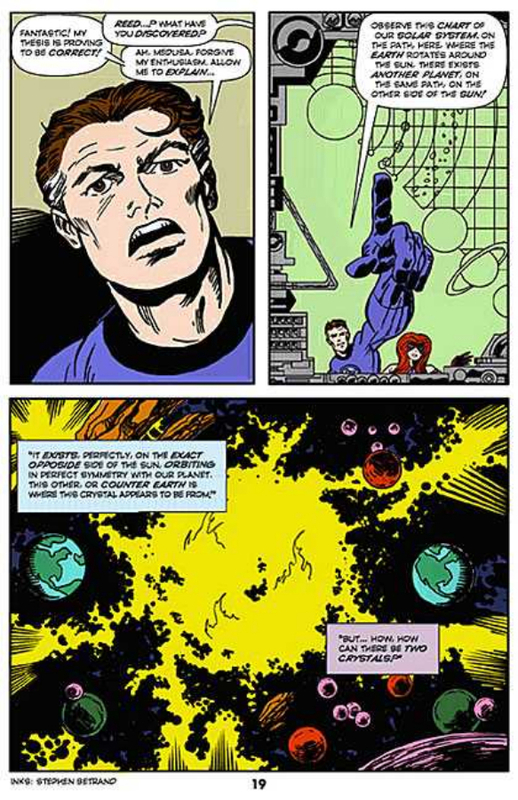 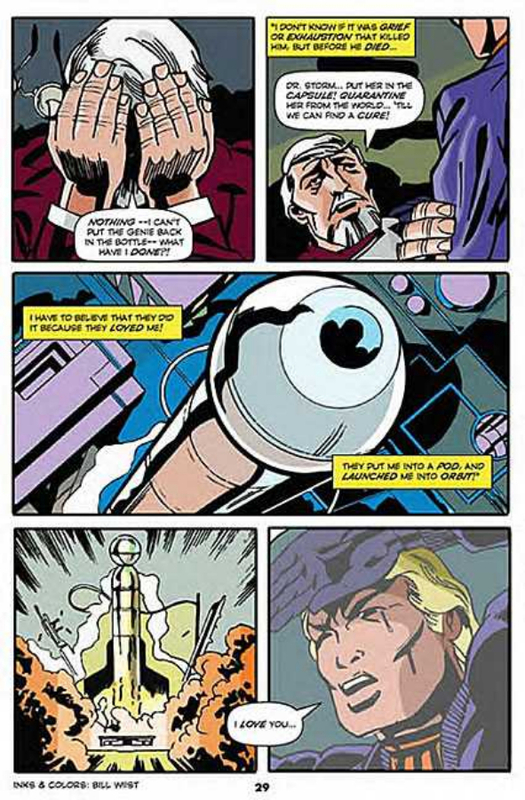 There is also a duplicate Johnny Storm, who meets and falls in love with Crystal there. 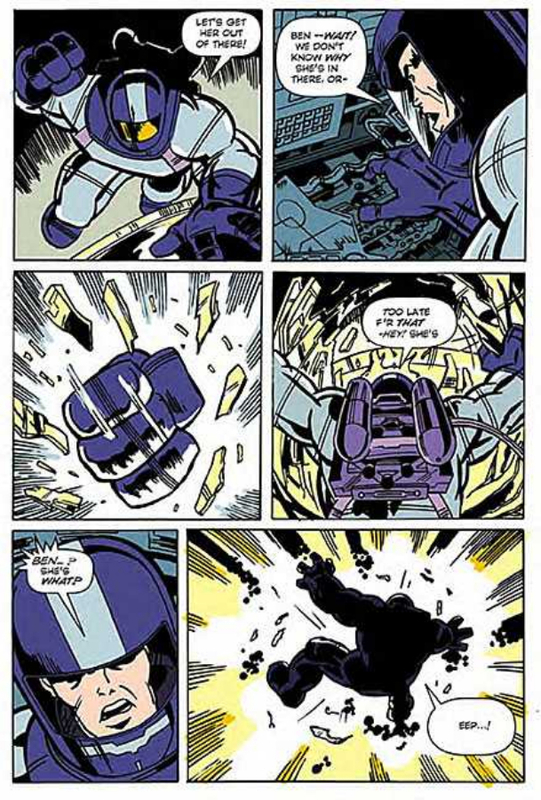 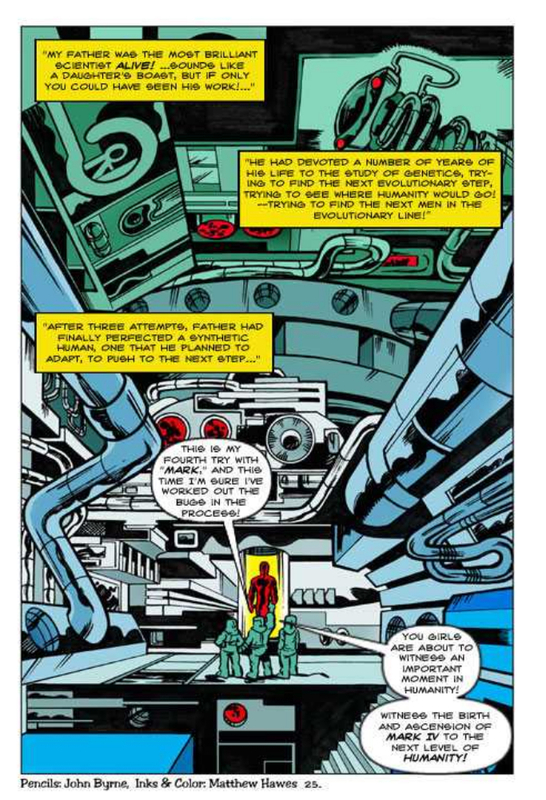 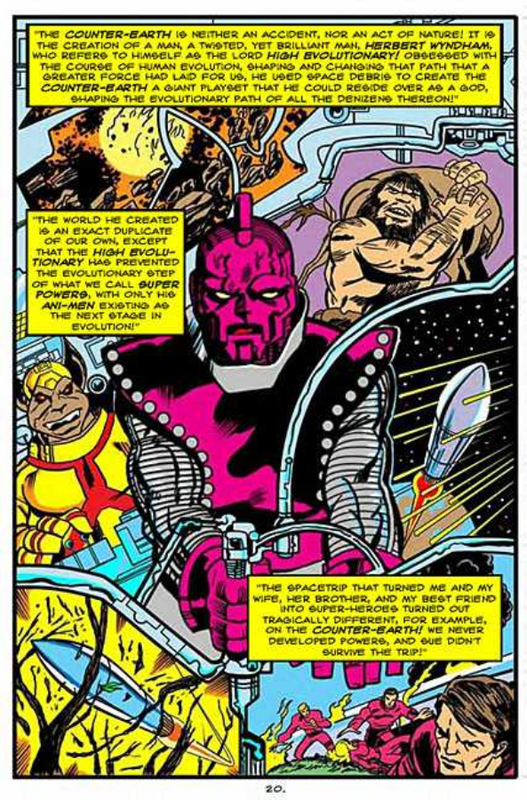 Long-time fans might note how some of the ideas presented here were later used in the creation of Galactus’ herald, Nova. 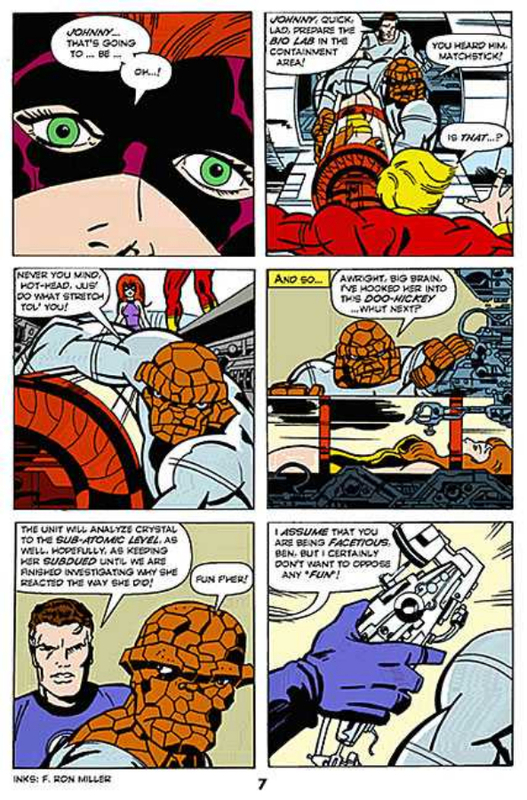 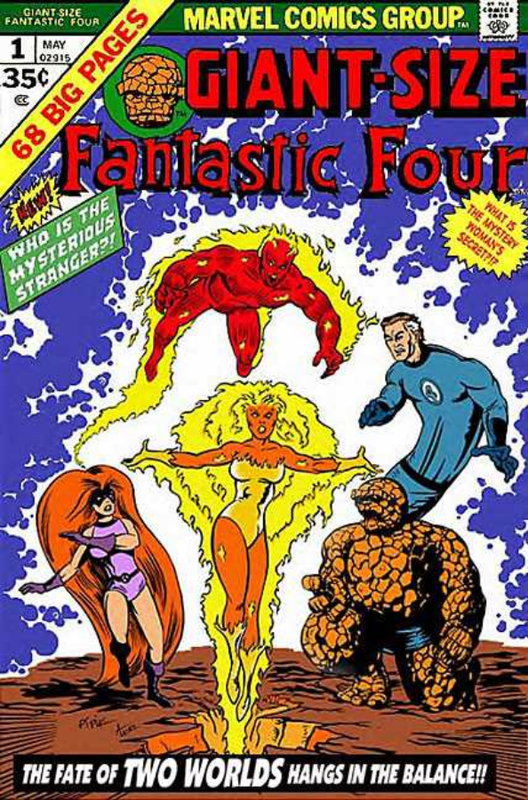 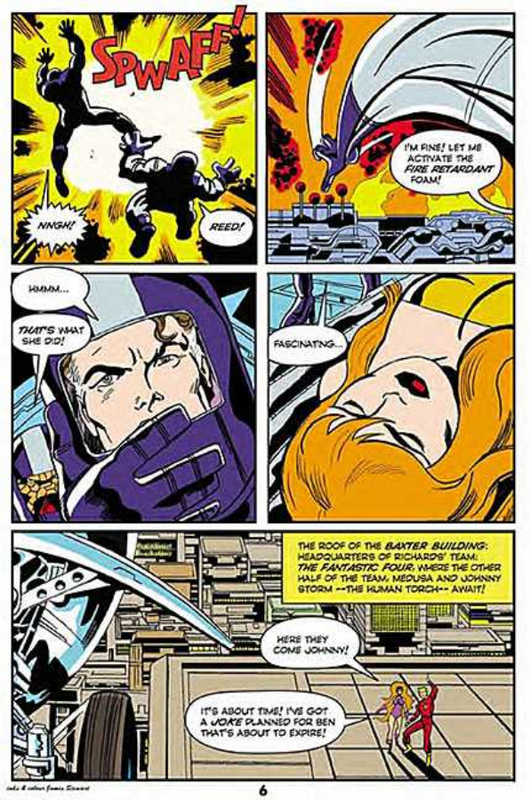 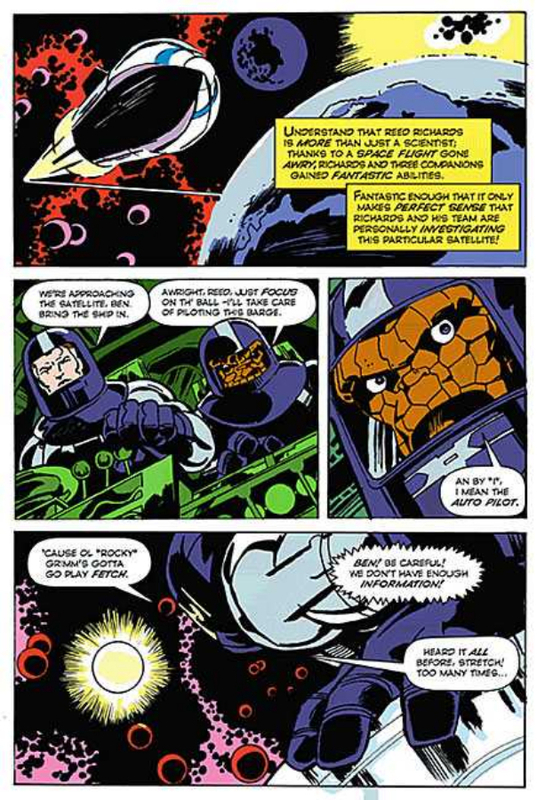 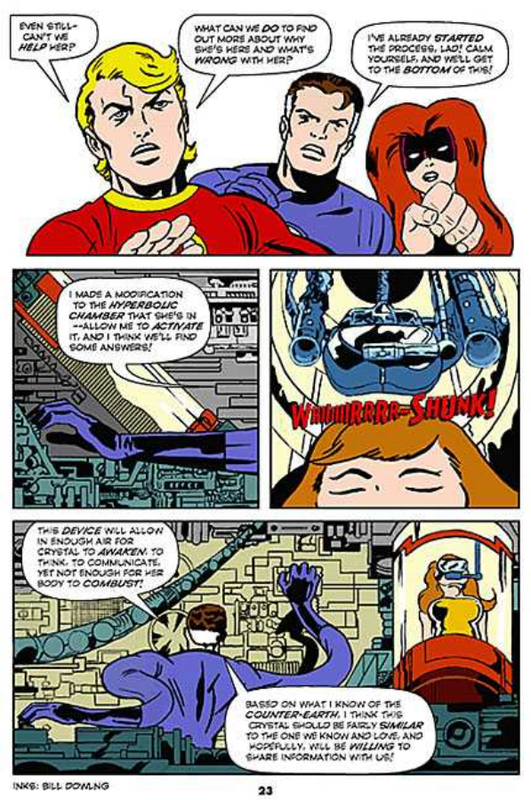 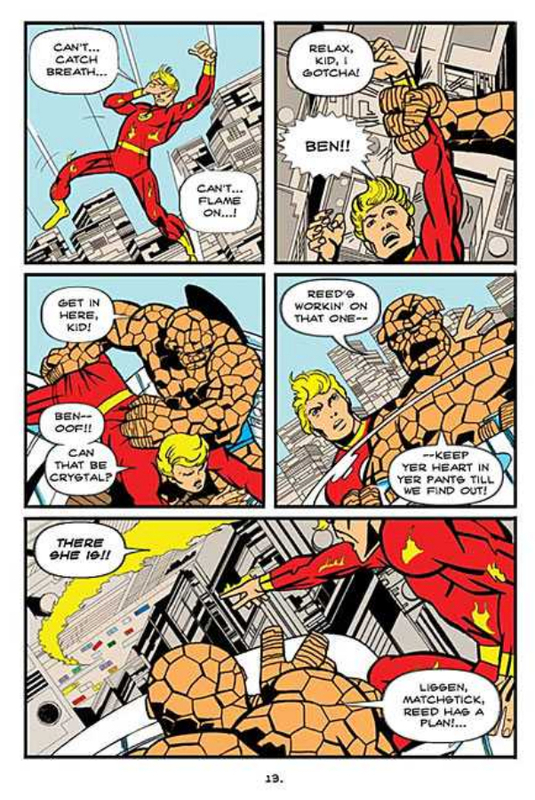 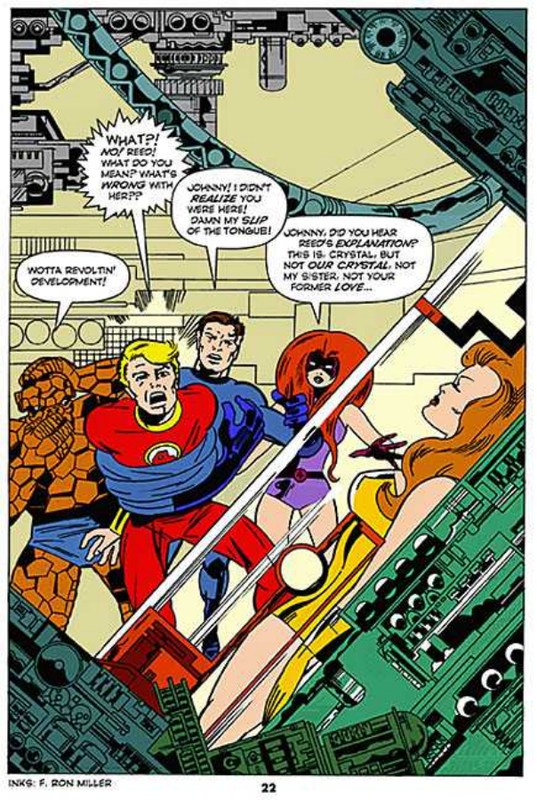 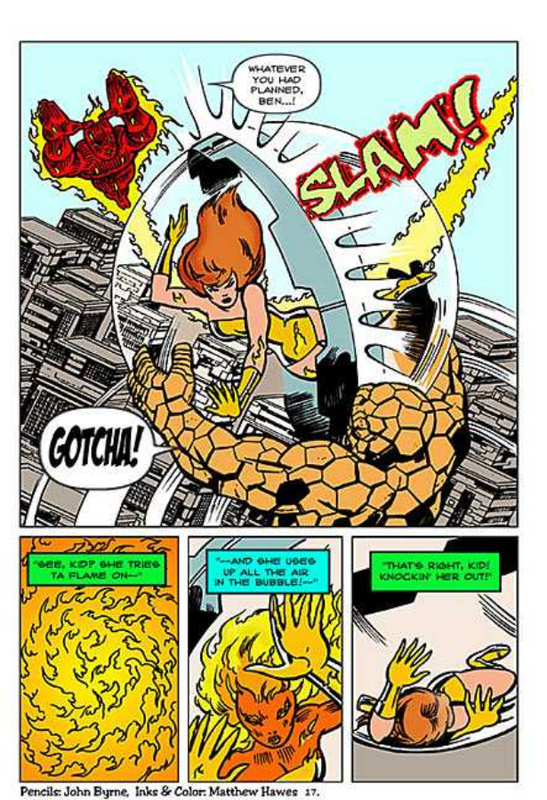 Fans might also note the inclusion of Medusa as a member of the FF, as well as Johnny’s short-lived red and yellow uniform, both of which were the status quo of the team from Fantastic Four #132 until #147. 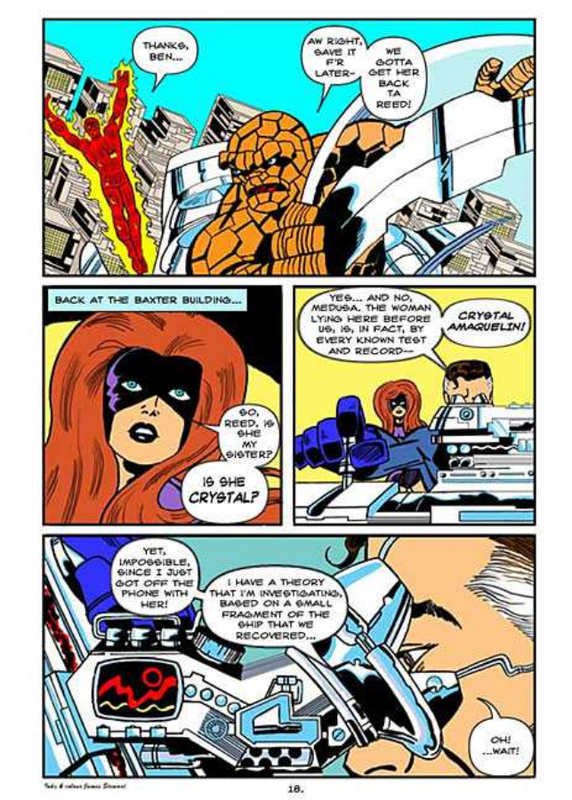 Marvel could have done a huge event crossover in which an angry Crystal makes her way back to Earth for revenge. 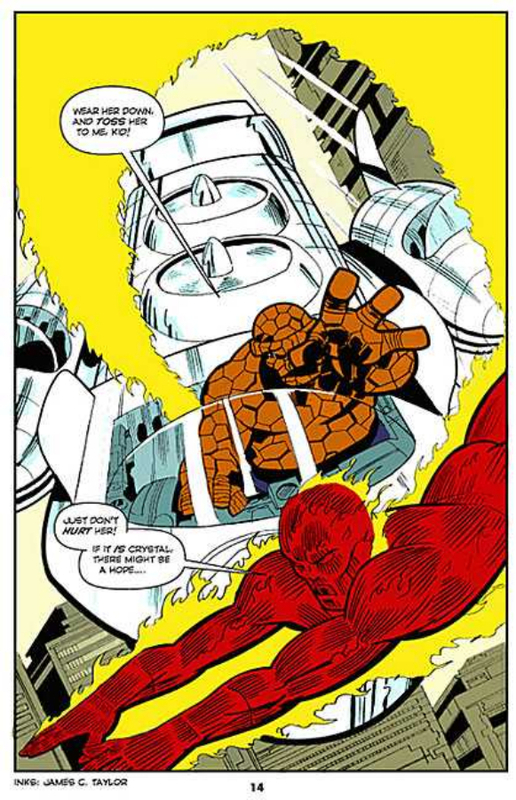 Throw in one or more other Crystals. 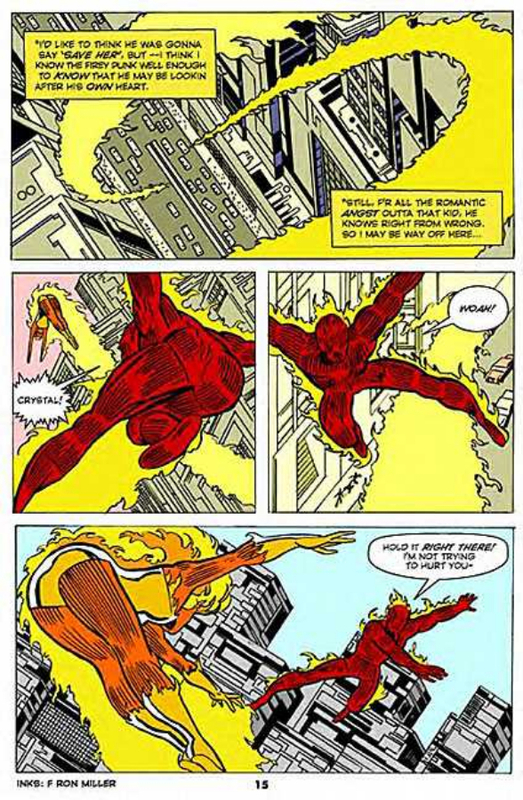 Shoot, they could have made multiple events out of it.